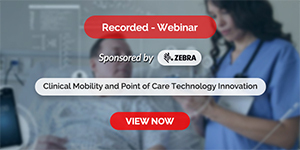 What challenges do hospital managers face in matching supply and demand for hospital services while maintaining service quality and keeping costs low? What are emerging trends in practice? To what extent and how has-the Operations Management (OM) literature contributed to addressing these challenges? What opportunities and additional challenges do they pose for the OM researchers? Matching Supply and Demand for Hospital Services address these questions. The monograph focuses on the three main types of services that hospitals provide: surgical services, emergency services, and inpatient services. 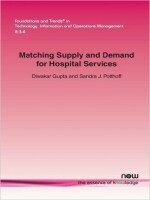 In doing so, the authors expose the interconnectedness of these services and the challenges that arise due to the cascading-effects of mismatches in any one area on all other hospital operations. The goal is to expose key issues from practitioner perspectives, use representative data to highlight problems that are amenable to modelling using operations management tools, summarize state of the art in modelling such problems, and identify opportunities for future research. Matching Supply and Demand for Hospital Services underscores several important observations. First, hospital administrators need to consider forces affecting demand and supply for services both inside and outside the hospital walls. Second, hospitals need both careful advance planning, based on patterns observed in historical data, as well as dynamic response strategies to unfolding reality that forces inevitable deviations from plans. Third, the role of hospitals is changing. Innovations in payment mechanisms that bundle payment to hospitals and doctors, and offer incentives for lowering costs, are creating the need to design and implement effective gain-sharing plans. These same farces have also increased the importance for hospital administrators of choosing the right number and specialization of salaried physicians, and building alliances with both upstream (such as primary care clinics) and downstream (such as skilled nursing facilities) service providers. OM researchers have addressed some of these topics but significant new opportunities abound.